I had high hopes for this year. After publishing my first novel, a novella, and contributing to three anthologies in 2016, this year could only get better. Right? Wrong! I thought I would finish the first draft of my novel, Unknown Reasons, by March at the latest. Then came April, May, June. The clock kept ticking and it wasn’t until late September before I wrote the last page. Then came edits, rewrites, proofreading, and December. At a time when I thought I would be almost finished with book three of my Driscoll Lake Series, book two wasn’t ready for publications. Short stories? I wrote three in 2016, so I was sure I could top that. Wrong again. I wrote one. Blogging? Something else I planned to do on a regular schedule. Instead? Nada. Well, almost nada. On a personal note, 2017 wasn’t the best year. I had some health issues (nothing that can’t be corrected by knee surgery which will probably happen in a few months.) In August, tragedy struck our family when my husband’s youngest nephew died in a car crash. In November, we had to euthanize our fourteen-year-old dog, Maggie. But I refuse to end this year on a negative tone. There were also many good things that happened. 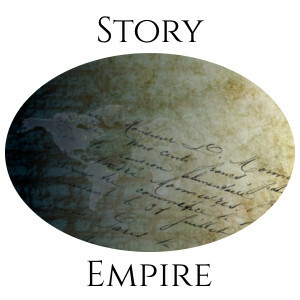 In January, I joined five other authors on a site called Story Empire. Although we write different genres, we all share a love for fiction and for helping other writers. It’s been a great year for us as the site has seen a lot of growth and participation. And we have some new things planned for 2018, so be sure to visit our blog on Monday for the new announcement. I also began working with AIW Press and I’m happy to announce they are publishing my newest novel. Unknown Reasons will hit the shelves (well, the cyber shelves) within the next few days. Also, Unseen Motives, has undergone a cover change and will be republished soon through AIW. Look for a sneak preview of the new cover soon. Speaking of AIW, we published Quantum Wanderlust, a collection of time-travel stories in September. My short story, Gold Wings, is included in the anthology. If the concept of time travel interests you, pick up your free copy by clicking here. The writing muse visited me a couple of days ago, so I have begun writing Driscoll Lake book three, Unclear Purposes. I’m also toying with some ideas for short stories and a stand-alone novel. As far as blogging, I really want to do that on a more consistent basis. I’ve opened my site for guest authors, so look for some new faces and some familiar faces next year. Finally, I would like to thank you all for your support over this year and wish you all a Happy New Year! Wishing you an awesome new year and loads of success. Right back at ya, Craig! Joan, best wishes to you and your family for a Happy New Year. Also, best wishes on the upcoming book launch and the progress on Unclear Purposes. Keep writing! Thanks so much, P.H. Hope you and your family have a Happy New Year. And wishing you continued success with your writing. It’s been a year of ups and downs but you’re ending on a lot of positives. I’m looking forward to Unknown Reasons. Congrats! We’re gonna do this thing, Mae! Wishing you all the best in 2018. It’s been one crazy year for all of us; that’s for sure. Wishing you much success in 2018! Thanks, Staci. Glad to get this year behind us. On to bigger and better things! How sad am I? I just today, after several years, discovered the “up vote” arrow, which is essentially the “like” feature on Discus. So sad. Don’t feel bad. I forget about it being there and forget to use it.